I visited Belgrade back in 2006 and was surprised by the fun, buzzing city that I found. 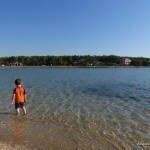 Now, I want to return as soon as possible with kids after reading this great guide to the best things to do in Belgrade with kids courtesy of Cristin Kelly from Between Roots and Wings who has uncovered all the best places to visit with your own kids on your trip to Belgrade. What are you waiting for? At the confluence of the Danube and Sava rivers lies Belgrade, Serbia, a city whose history is an epic of strife and occupation, but whose recent era has seen a race forward in terms of culture, dining and nightlife. It turns out it’s also fantastically kid friendly, a revelation which came as a surprise, even to my Belgradian husband. Between the impressive number of attractions for young people and the affordability of Serbia, we felt spoiled on our three week trip with our 2 and a half year old daughter. If you’re travelling Europe with children and are seeking out a budget friendly option, Belgrade is a good choice. Below you will find what to do in Belgrade with kids and how to get around Belgrade. Try out these options which should be more than enough to keep you immersed in culture, nature, and play for a few days or longer. Any Belgrade travel guide will surely send you to send you straight to Kalemegden, the historic fortress overlooking the confluence of the two rivers. 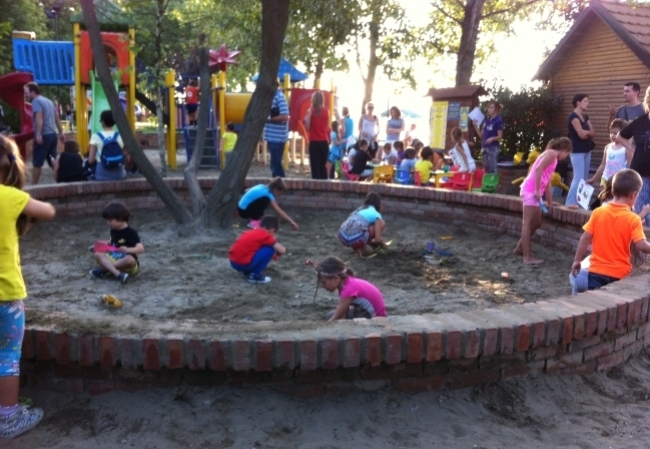 Adults find plenty to enjoy about Kalemegdan, but it can be a wonderland for children, too. You might easily dedicate a couple of days for the park and all it holds. 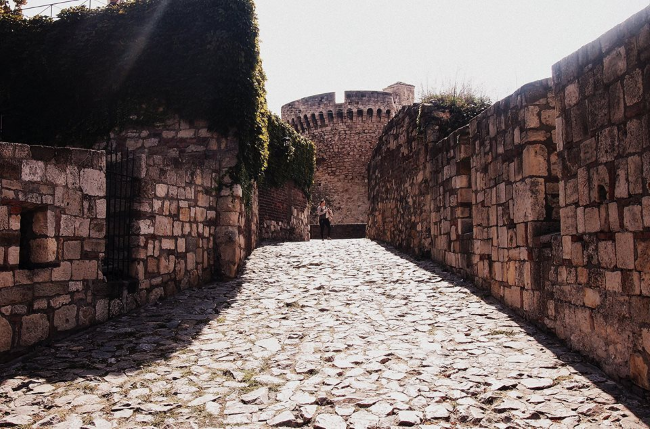 The most unique – and awesome – feature of Kalemegdan Park are endless old tunnels and ruins for aspiring knights and princesses to explore with their imaginations in full gear. Bring a picnic and let the kids transport themselves back in time. 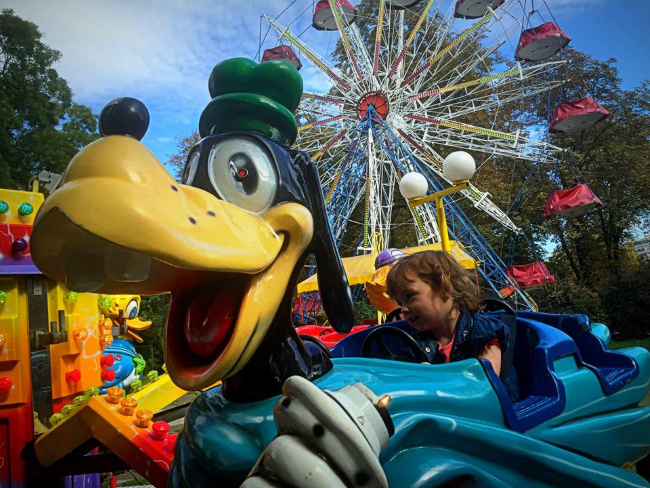 A small amusement park with rides and bumper cars – one part vintage fair, one part intro shot to a horror movie, it’s worth braving the classic rides for a dollar or less. 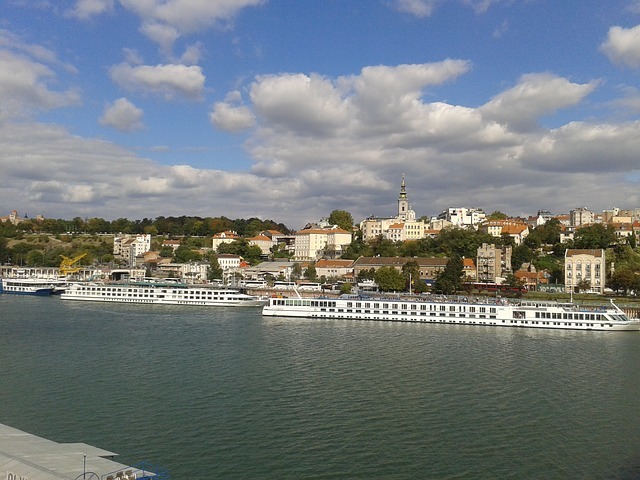 If you only have a day to spend in Belgrade with your family, this is certainly your one stop. There is no fee for park entry, but some of the attractions do charge. While there are no attractions especially for children on the main pedestrian walkway, it’s just a nice place to visit in Belgrade for the whole family to stroll and soak up the culture of the city. The vibe is happy and easygoing, and there are plenty of places to shop or stop for snacks or ice cream. On the weekend, we found a balloon twister making works of art for the equivalent of a dollar or so, along with an array of street musicians. Walk to the end, and you can cross the street into Kalemegdan Park. 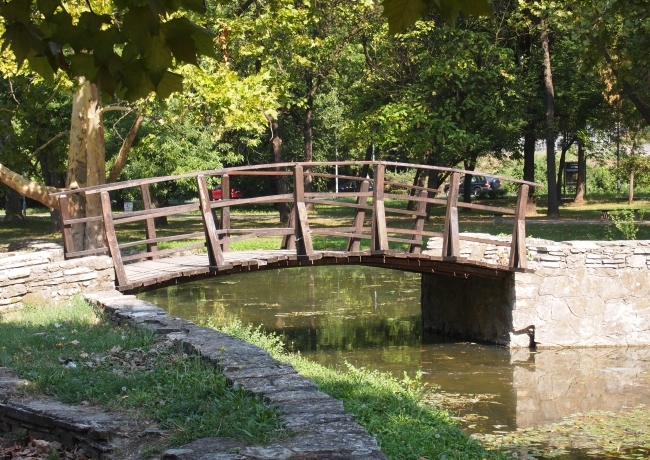 5km from city center, Topciderski Park is a large, natural expanse in the midst of an urban neighborhood, with gardens, a small lake, and wooded areas and one of the top things to see in Belgrade with kids. Most kids won’t find the old palace – now the Museum of the First Serbian Uprising – terribly exciting, but gather out front for a horse drawn carriage ride around the park. The on site restaurant is nice, and with an outdoor playground next to a deck for dining, a perfect spot for a family meal. 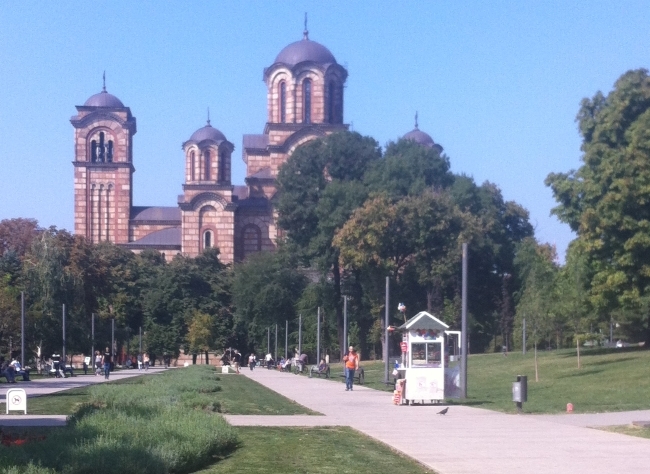 In the center of the city, next to St. Marks Church is lovely Tašmajdan Park. Its two playgrounds are especially good for under 5s. There is plenty of open grass and benches by the fountain for a picnic, or choose one of the several cafes in the park, though they felt more welcoming to business lunchers than rambunctious children. It also features a small, privately owned amusement park with several jumping castles and slides, plus rides and games. The attractions all show their age, but that was no deterrent to my child who managed hours of entertainment, and ended up exhausted after a few dozen rounds on the bounce house. Payment for the amusement park is only in cash. A peninsula on the Sava River, Ada is a sprawling recreational area where Belgradians go to play. You will find a number of picnic spots, as well as sporting areas, and there is a beach for swimming, though if you live somewhere with ocean beaches, you may not find its rocky sand the most appealing option (we passed). Our choice was to take the motorised train that runs around the park every half hour or so, and settle ourselves at one of the open air restaurants with a play area for children. We chose a cafe called Sunset, where we could park ourselves at a table, and our daughter played meters away in an enclosed playground. On the weekends, they even had two very kind staff members minding the young patrons, and offering them arts and crafts activities. It’s a local crowd, but most of our wait staff spoke English. The food is fairly typical Eastern European fare, with some imported beers and wines on offer. I insisted on multiple trips to Sunset at Ada because it was such a relaxing way to spend a few hours, having a few drinks and food, and watching our little traveler play nearby. 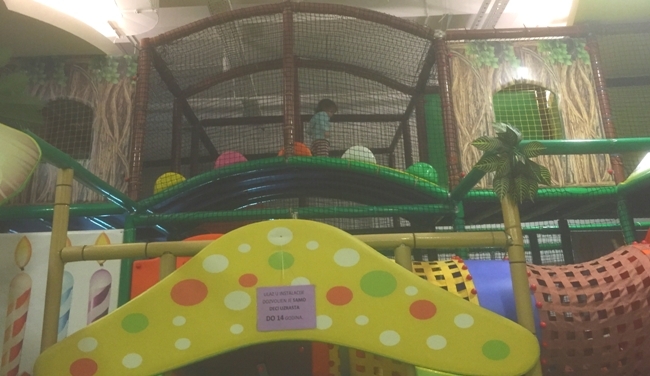 A lot of the activities that we loved in Belgrade were outdoors, but for days when it’s too cold, rainy – or too hot, as it was some days on our visit – indoor play centres were our saving grace when looking for things to do in Belgrade with kids. In Old Belgrade, the new Stadion Mall (which actually has a stadium on its roof) hosts Dreamland, a huge, colourful play centre with climbing structures, trampolines, a sports court, cars, and a large dedicated room for toddlers. The cafe serves food, coffees and even wine. The staff were so friendly and engaged, and after a couple of visits, they were greeting our daughter by name. On the other side of the river in New Belgrade, Delta City Mall is home to Circus play centre with a gigantic climbing structure and rides, plus a restaurant for snacks and drinks. In the basement of the Sava Centre, there is a smaller play area with a couple of climbing structures, a child-safe flying fox, ball pit and toys. A dedicated staff member is available to help mind the children, should you want to have a break to sit in the cafe. All of the play centres cost around the equivalent of $3 – $4 for unlimited play, with food, drink and extra rides an additional cost. Make sure that all members of your family have socks. Though not specifically a “children’s” destination, we loved dining with our daughter at Frans restaurant. Considered one of Belgrade’s best and most established restaurants, the traditional Serbian meals are a little more expensive than most of the other places we dined, but still very reasonable by Australian standards with mains in the neighborhood of $15USD. A kid’s menu is also offered. The children in our party were made to feel more than welcome, and no one batted an eye when they took to running around the large garden. 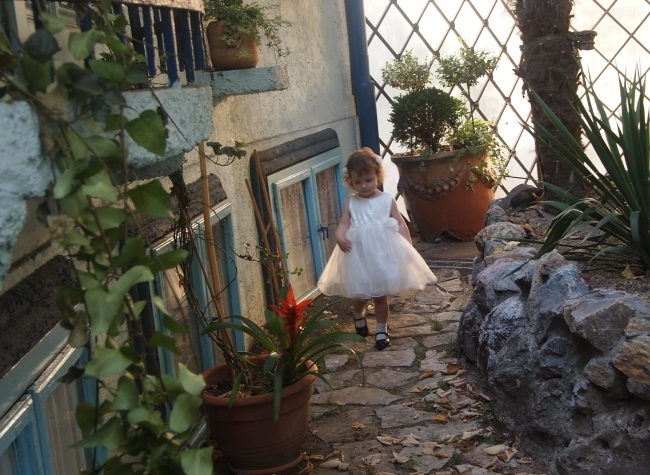 Full of quirky decorations and interesting architectural details, the garden is straight from a fairy tale. 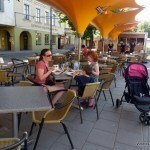 I would recommend a reservation, and ask to sit outside if you are dining in Belgrade with children. When we visited, we catered our trip to a toddler, however, there are a few attractions that weren’t right for her demographic, but are well suited to older kids in primary and above. 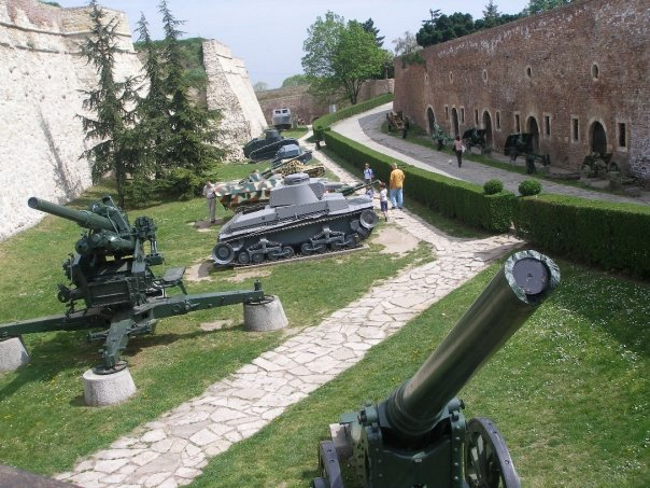 Located within Kalemegdan Park, the Military Museum covers military history from the earliest days of Belgrade through to present day. Though most of the displays are written in Serbian, young combatants will still love looking at the collections of swords, knives, battle axes, rifles, cannons, tanks and military paraphernalia. Note – the Military Museum is closed on Mondays. In 1991, Crown Prince Alexander and his family entered Serbia for the first time. His family had been living in exile since 1941, and Prince Alexander was born in a hotel room in England which was declared Yugoslav territory by Winston Churchill. In 2001, the family moved into the Royal Palace in Belgrade, and recently, they have opened the grounds for guided tours. Available on weekends between April and October, the tours must be booked in advance, and you may be asked to provide copies of the passports of all members of your party. We requested an English speaking tour, and ended up with a private guide. The tour includes the Royal and White palaces and the beautiful Royal Chapel, and is a fascinating walk through modern Serbian history. 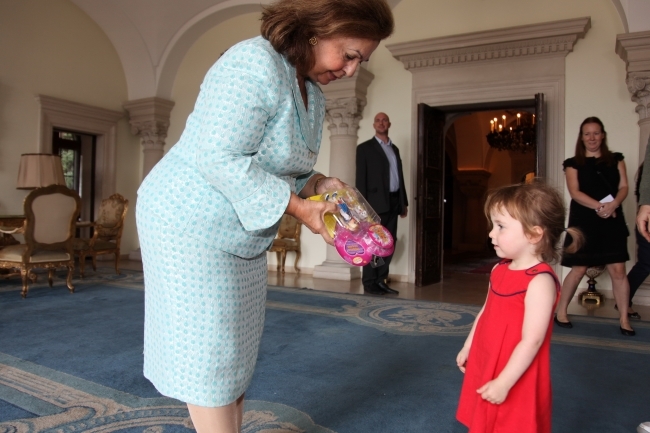 You may even be lucky enough to meet a member of the Royal family – meeting HRH Crown Princess Katherine was certainly the unexpected highlight our our trip (more on that meeting here). There is no native son that Serbia claims more proudly than pioneering engineer and inventor Nikola Tesla. 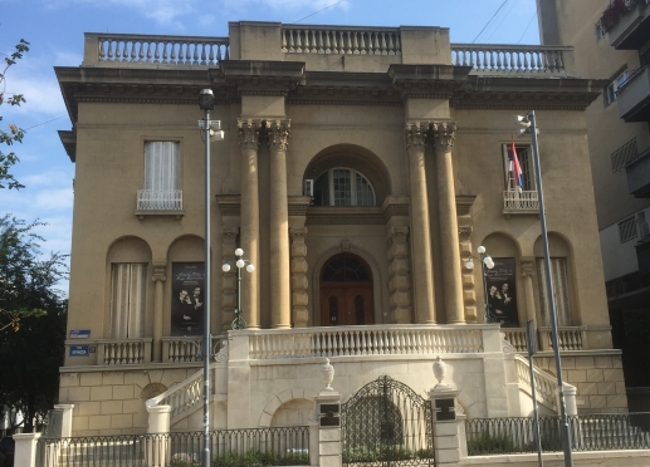 The Nikola Tesla Museum, located in central Belgrade, celebrates the genius work he did in the realm of electrical energy and the magnetic field. Young visitors may find the highly textual displays a bit cumbersome to take in, but they will love getting a science lesson from the guides who conduct (literally!) regular demonstrations about the principles Tesla worked on. Our little one did find the demonstrations too scary, so I’d recommend this museum only for the older kids. Note – the Nikola Tesla Museum is closed on Mondays. To help you find the best place to stay in Belgrade we’ve listed a few hotels we recommend below. Life Design Hotel – a great location for exploring central attractions. The hotel has quadruple rooms which are great for families, as well as free WiFi and an onsite day spa, fitness center, restaurant and bar. Click here to see the latest prices. Hotel Nevski – offering fabulous 2 bedroom apartments for families with onsite dining and plenty more options nearby. The apartments are centrally located making for an ideal base. Click here to see the latest prices. Lazar Lux Apartments – super affordable apartments for families with both studios and 1 bedrooms available. The complex also offers shuttle service making transport easy. Click here to see the latest prices. Belgrade’s trams and trolleys can be a very efficient way of getting around the central attractions in the city and is an especially fun mode of transport for kids. As many of the maps are in Cyrillic, it’s a good idea to plan your trip ahead. Additional information on using Belgrade’s public transport can be found here. For convenience, and because they are fairly inexpensive, we tend to prefer taking taxis or hired cars, and our favorite option is CAR:GO. Similar to Uber, download the CAR:GO app and register your Paypal account. You can then request a driver to your location, and the fare is charged to your account. We found the CAR:GO cars to be far nicer than Belgrade taxis, the price to be comparable or better, and the drivers exceedingly friendly. All of our drivers spoke good English, and were very welcoming of children. The CAR:GO mascot is a teddy bear, and the drivers almost always had one in their car that they let our daughter hold. There were a couple of occasions when a driver was not available, but given the choice, we’d always take a CAR:GO car over a taxi. While Belgrade may be growing its reputation as a nightlife destination, we found it a great spot for families, as well. 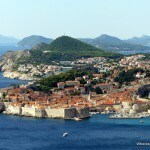 Enjoy Europe without breaking your budget in the city on two rivers. You can read more of Cristin’s adventures at Between Roots and Wings and like her on Facebook. 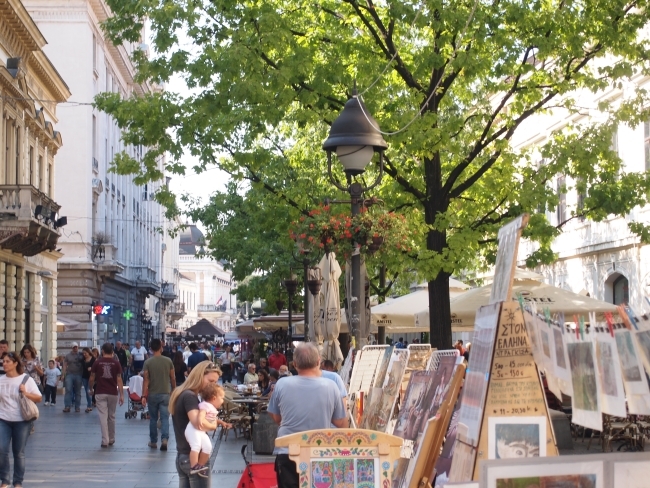 What are you favourite things to do in Belgrade with kids? Disclaimer: This post contains affiliate links. This means that if you make a booking after clicking on one of our links that we may receive a small commission at no extra cost to you. 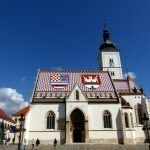 What to do in Awesome Zagreb!! Cristin Kelly is an American living in Sydney, Australia with her husband and young “AusSerbMerican” daughter. She blogs about expat life, parenting, Sydney, and travel at Between Roots and Wings. You can also find her on Facebook, Instagram and Pinterest. Oh wow that’s horrible. Sorry you had to deal with that. There are so many lovely things to do in Belgrade and in the rest of Serbia! We are going back regularly and never were disappointed. 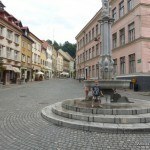 Some of our favourite places in include Novi Sad, Petrovaradin (Fortress), Sremski Karlovci, the Derdap National Park, the Rajkova Pecina Cave, and Zlatibor. Thanks for all the extra ideas! Serbia is located in Southeast of Europe. It is a big difference. I am glad your had a lovely time in our beautiful country ! Yes I Ana it is. The comments are a little harsh but unfortunately most people don’t learn about Europe and especially not Serbia. At my sons school somewhere in Sydney Australia. Sadly, people think Serbians are muslims. I always have to explain where it is located and what religion we are! I agree with you but we are not here to educate the world!